Four new add-ons of the plugin «FG Joomla to WordPress» have been released this week. sh404sef is a Joomla extension which builds friendly URLs in Joomla. With the sh404sef add-on, all these URLs are imported into WordPress and you have the choice either to keep these URLs or to redirect them to the WordPress posts. 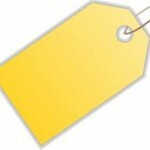 Joomlatags is a Joomla extension that adds the tags management in Joomla. All the Joomlatags tags can be imported into WordPress as regular tags using the Joomlatags add-on. If you are using the Attachments extension in Joomla, you can now import your attachments to WordPress using the attachments add-on. To display the attachments, you can use the Attachments WordPress plugin. 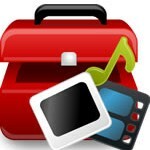 Rokbox is a Joomla extension that can display many different media formats such as images, videos, music. If you are using this extension, you can use the Rokbox add-on to import the Rokbox images into WordPress.